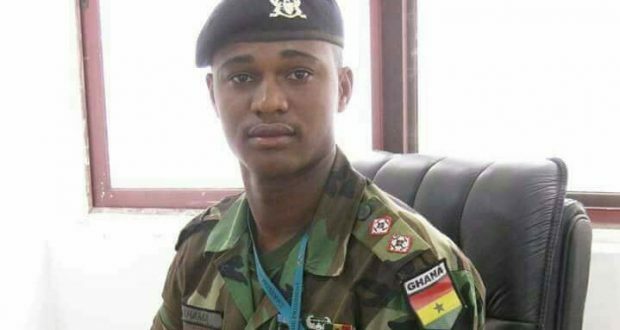 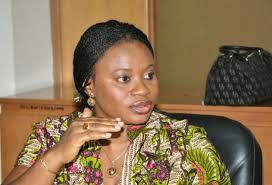 All about human rights issues in Ghana. 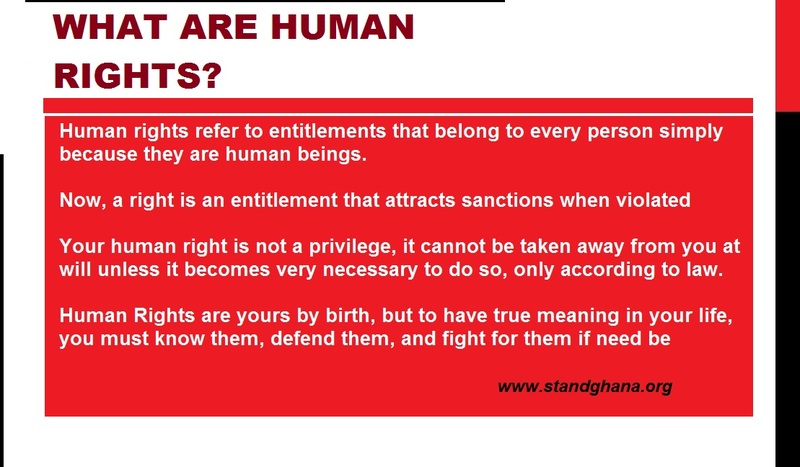 Human rights are rights that belong to everyone no matter who they are or where they come from. 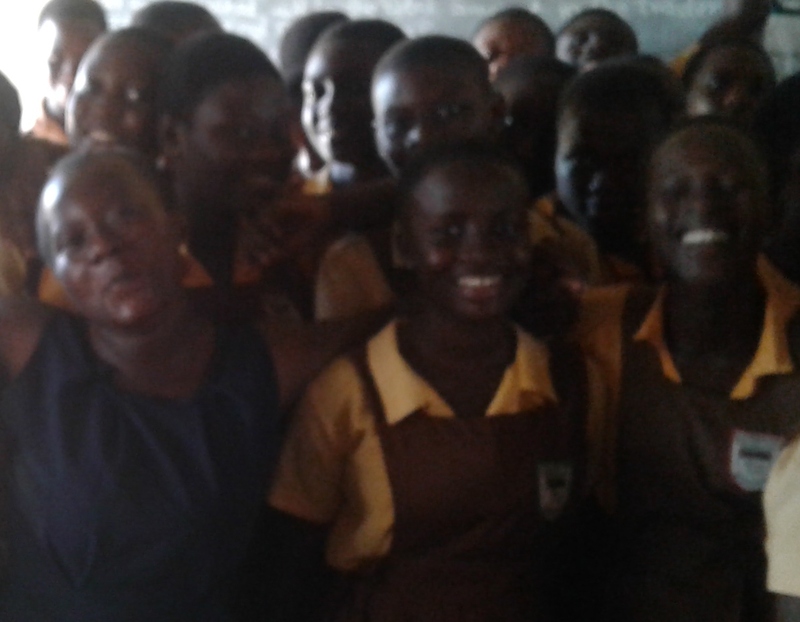 They are very important to every individual, group and society. 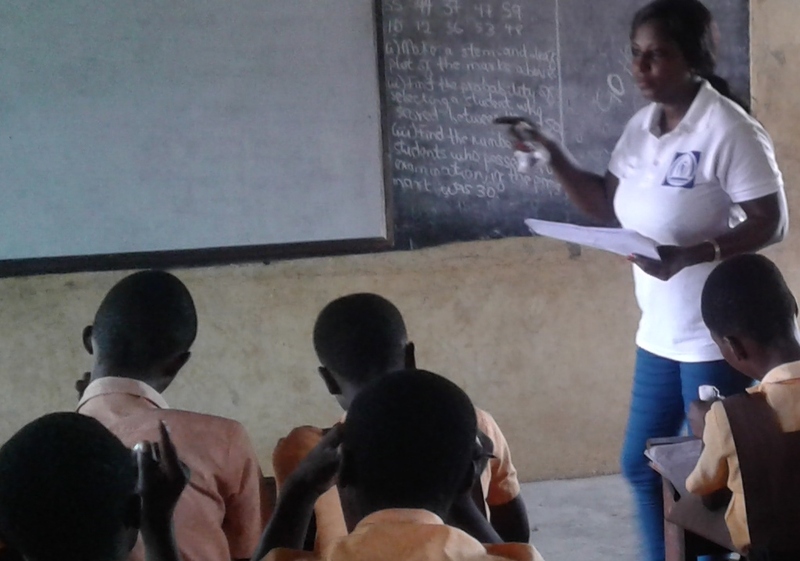 Get to know a bit more about your human rights and responsibilities. 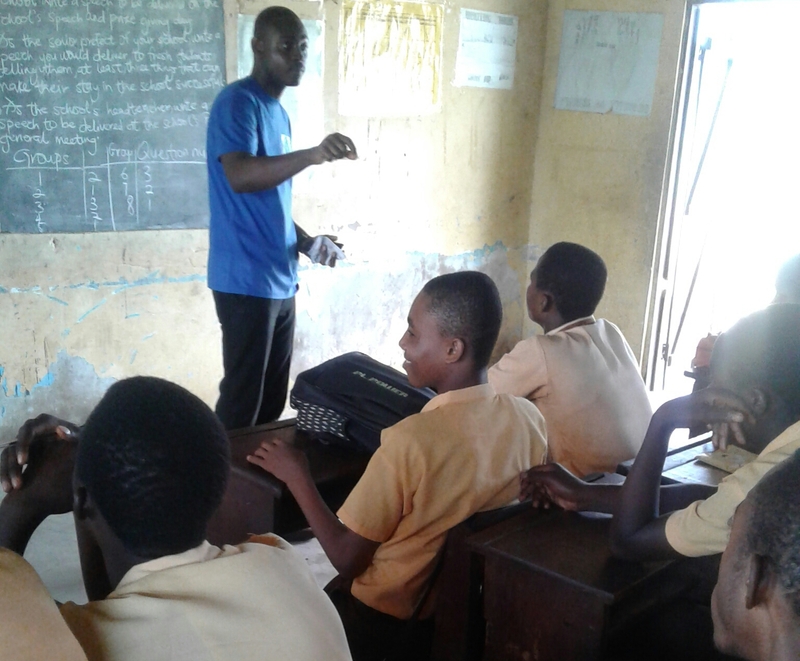 It is only through full knowledge of our human rights that we can ensure true peace and security in our communities and the larger society . 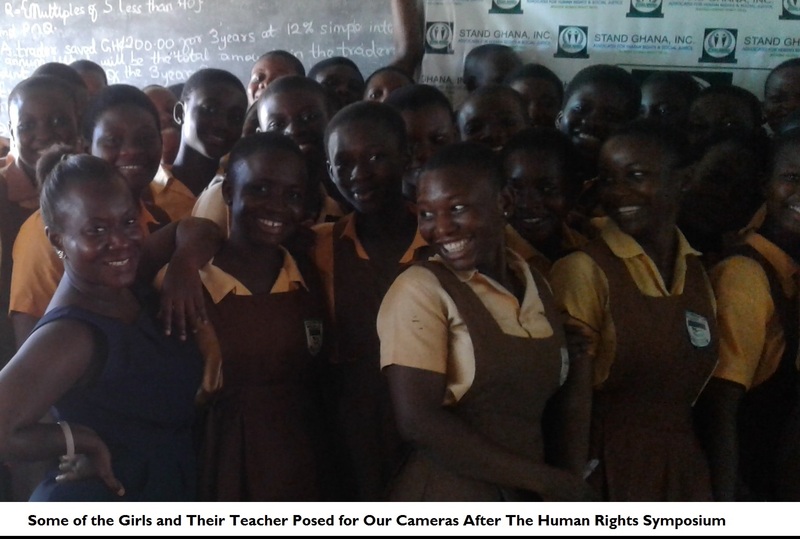 So get involved in promoting human rights through human rights education in Ghana so that others too can know their rights. 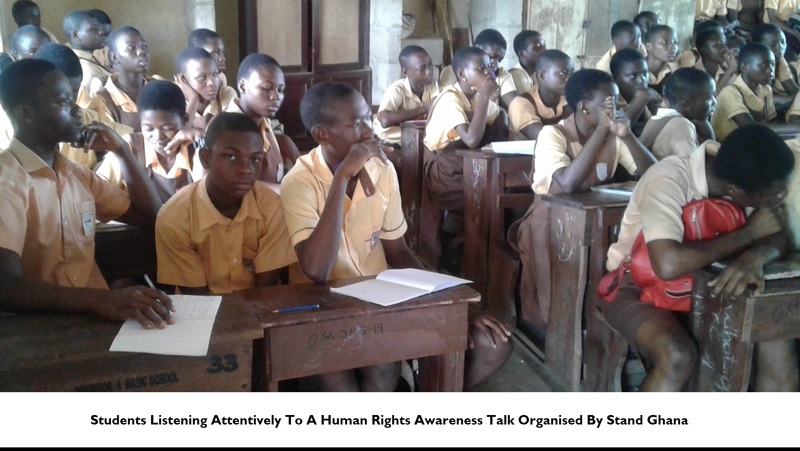 Stand Ghana held another very successful and empowering Human Rights Symposium on Child Rights, Responsibilities & Action; for the form three students of McLean JHS – Odorkor in Accra on Thursday 30th March 2017. 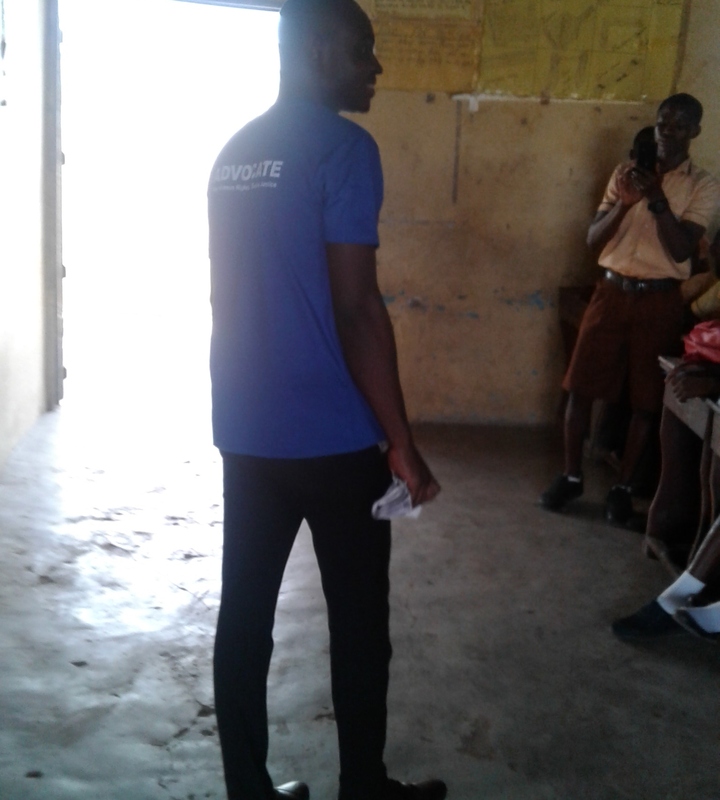 The key objective of this very important outreach programme was to ensure young people are knowledgeable about the full range and content of their fundamental human rights as stated in the Child Rights Convention. 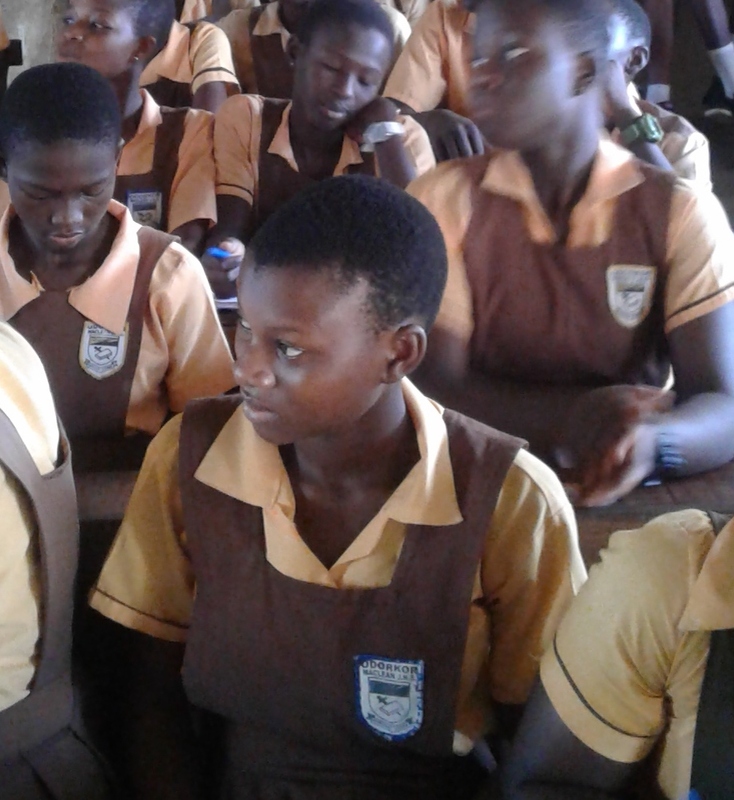 The over eighty (80) students and some of their teachers who took part in the programme were educated on their basic human rights, responsibilities as children and how to take action to promote and defend human rights in their various communities and homes. 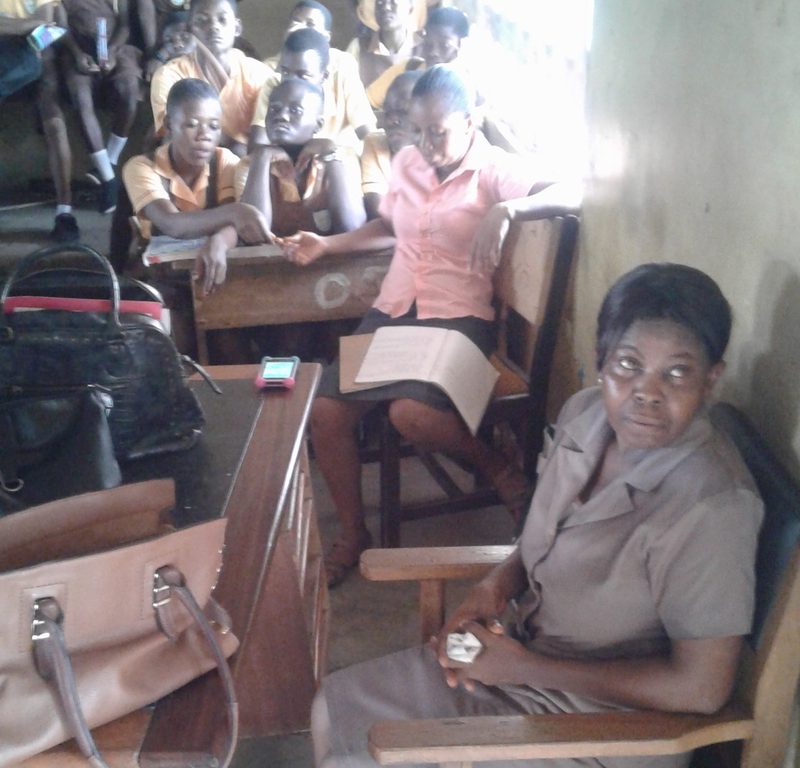 There was also open discussion on types of child abuse, their impact on children, how to report abuse cases, as well as the need to fight against all forms of violations and abuses using human rights provisions and laws. 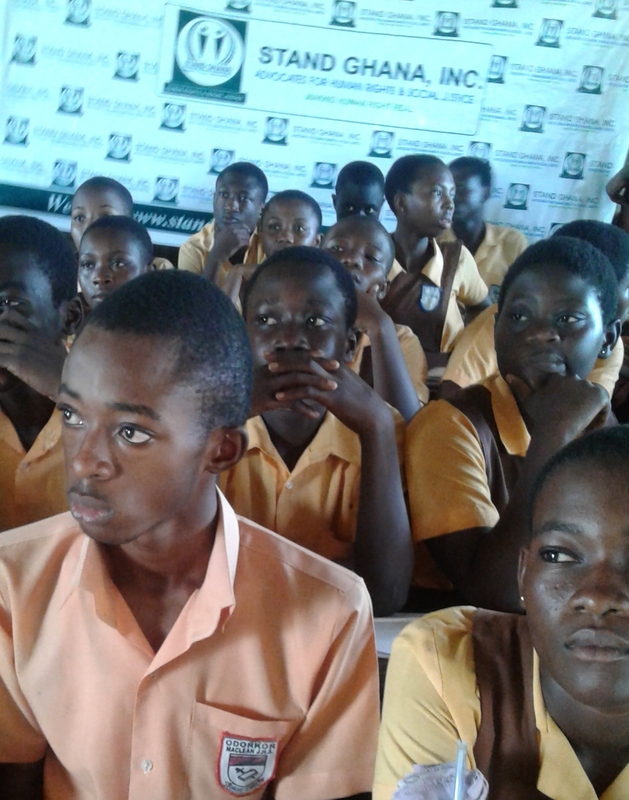 The students who were mainly JHS Three students actively participated and made valuable contributions to the discussion. 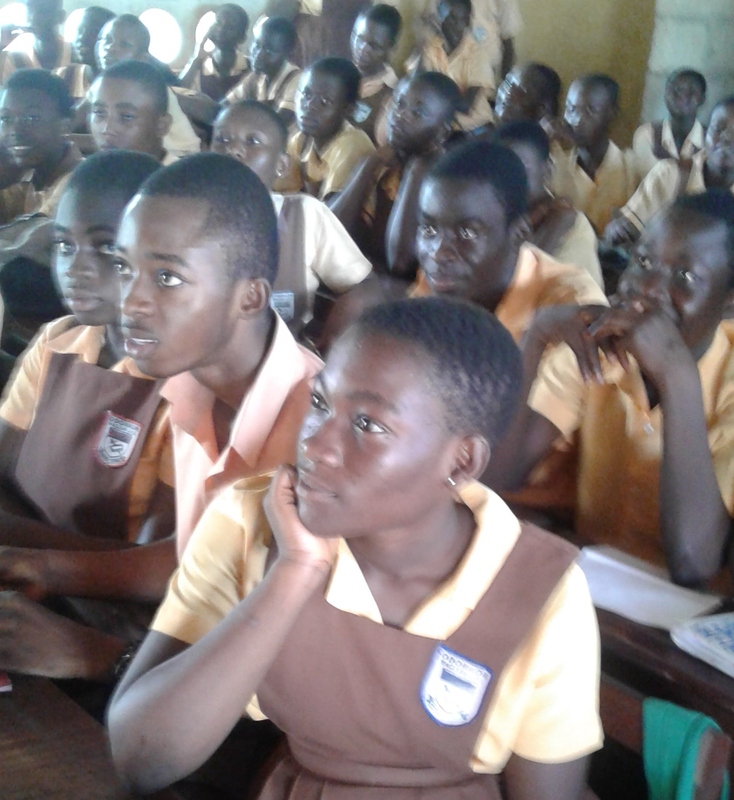 They were eager to know more and even shouted “we want more – we want more” when it was time to end the programme! 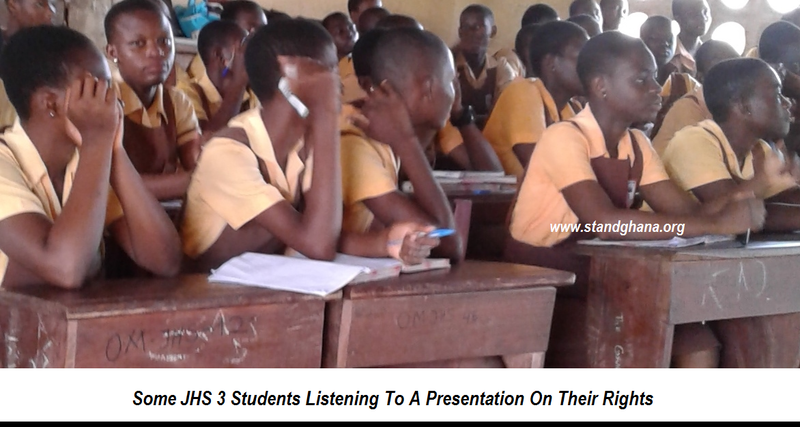 Well done Maclean JHS Three students!! 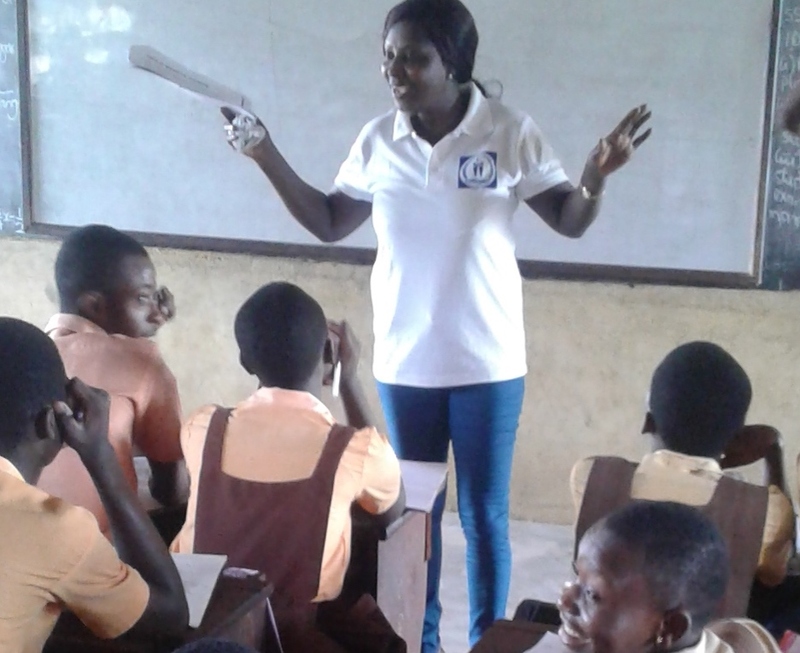 Participants were encouraged to become ambassadors of human rights in their diverse communities by spreading the word and standing up for human rights whenever necessary. 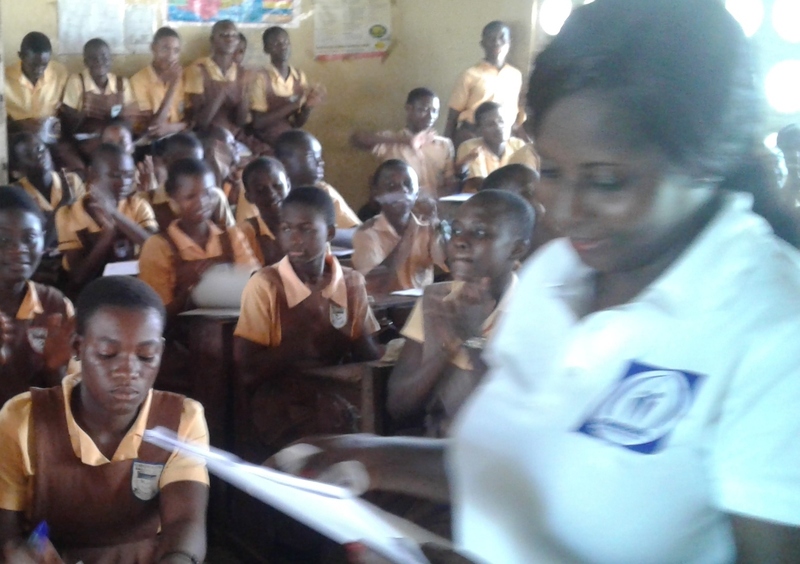 They were therefore instructed on how to take action for human rights, to empathise with victims of abuse and report cases of human rights abuses and violations to the appropriate authorities in order to make human rights provisions in the constitution meaningful to everyone in Ghana. 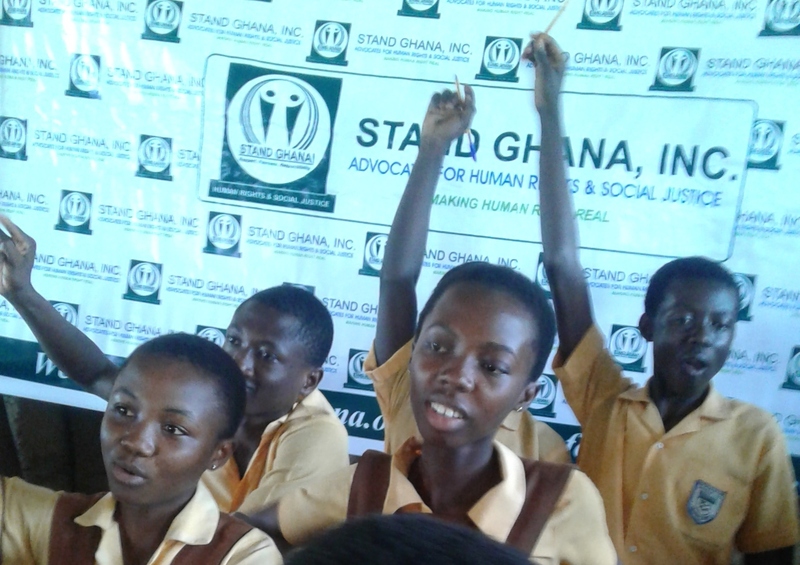 The Stand Ghana team later had a Straight Talk Session with the girls after the human rights lecture. 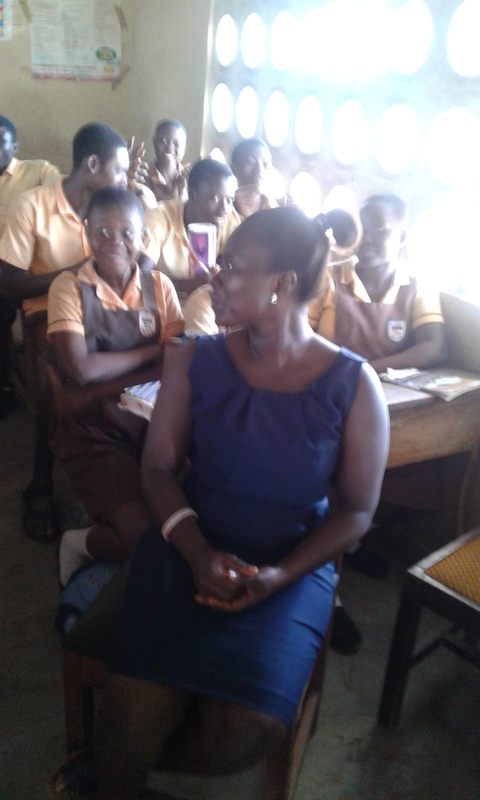 This was a mentoring and empowerment session designed to inspire young girls to become positive minded and focused on their studies. 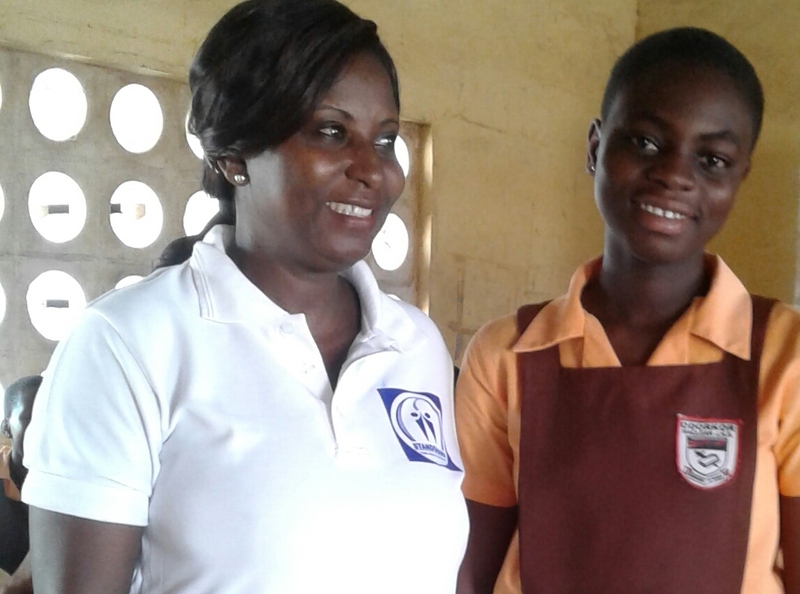 The young girls were encouraged to be smart and have ambition for the future; have a mind set for excellence, and be very determined so as to become very useful to themselves, their families and the larger society tomorrow. 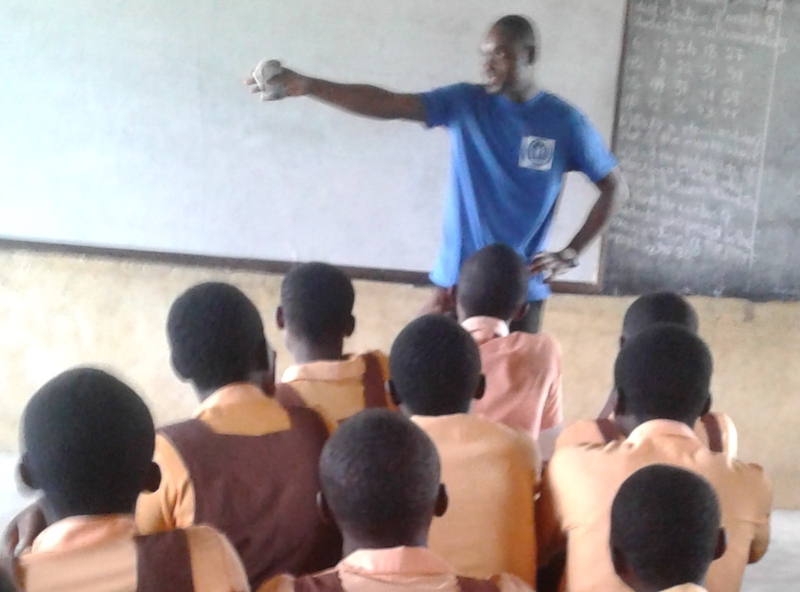 The boys were not left out, as Mr Eyram Adzim a Human Rights Advocate for young people and a volunteer at Stand Ghana also had a Straight Talk Session with the male students. 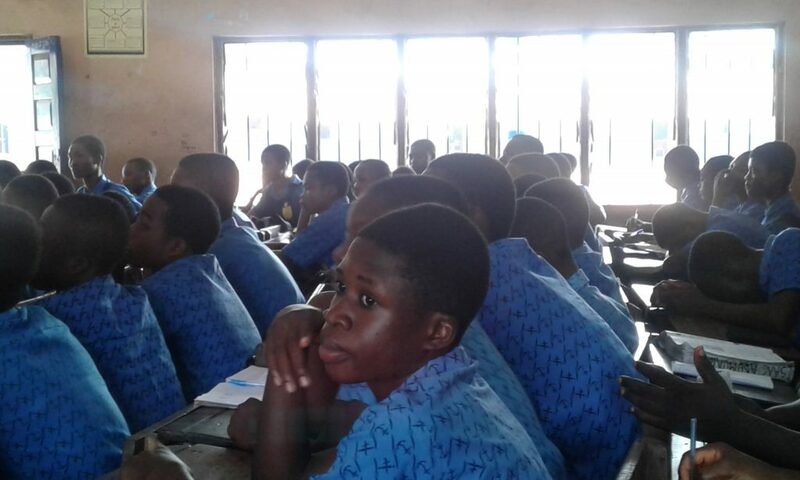 Among others, he strongly cautioned them to “avoid bad company – now, when they get to Senior High, as well as at the university”. 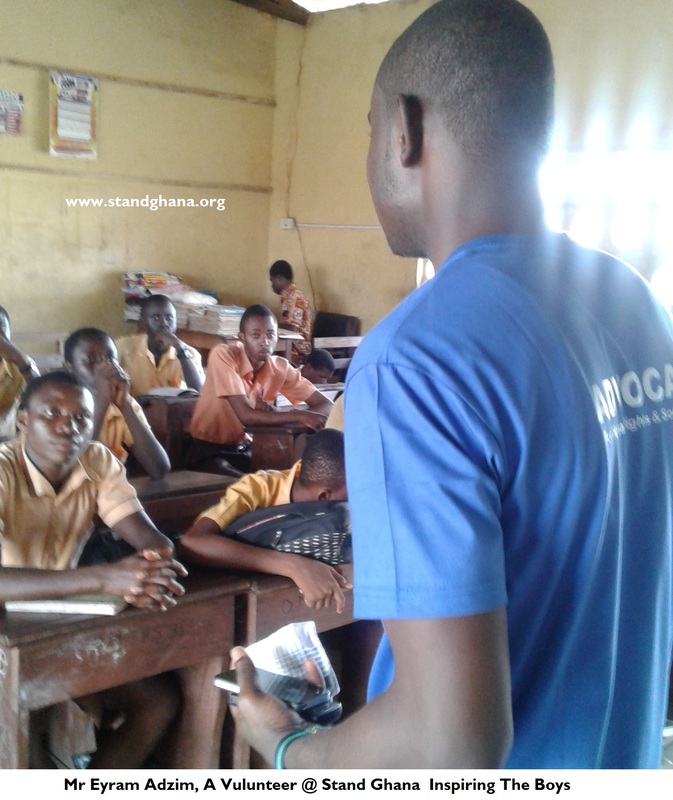 By this, Stand Ghana is catching them young and influencing the future of Ghana positively through human rights education and awareness creation activities.